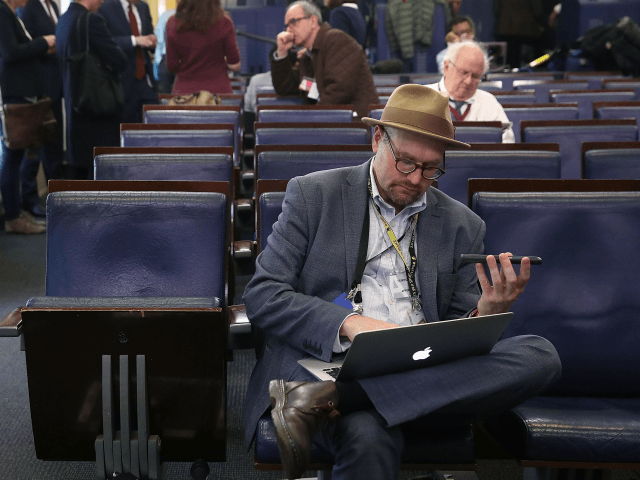 Glenn Thrush, the left-wing White House correspondent for the New York Times, has been put on suspension over several allegations of sexual misconduct. According to Vox, they have screesnhots (which are posted in the article) of text messages between Thrush and this young woman’s friend Ocasio from the next day. This sources also claims Thrush did the same to a number of young women. Vox reports that Thrush’s reputation got so bad, incoming young women working as interns were immediately warned to keep their distance. It is no secret that the left-wing Politico has long been considered a workplace hostile to women. Thrush was hired by the New York Times in December of 2016, even after WikiLeaks revealed that while posing as an objective journalist he worked closely with Clinton campaign chief John Podesta to approve his stories. The Times says it is investigating the sexual misconduct allegations. Vox itself is dealing with staffers accused of sexual harassment.